The history of the Morley Guitar Effect company starts with two brothers, Raymond Lubow and Marvin Lubow, in the 60s. They were the pioneers of the Morley line of guitar pedals used widely today. The Morley pedal has a unique design that gives it an advantage over other guitar pedals. The Morley pedal uses a unique design known as the electro-optical circuitry. This is different from conventional pedals that still use the potentiometer mechanism. The Morley pedal works using a device known as the foot treadle. This treadle controls a shutter mechanism inside the housing. The shutter mechanism then triggers a device known as a Light Independent Resistor. This resistor controls regulates the amount of light entering the pedal. It is this ingenious design that made the Morley Pedals famous in the 60’s. The pedals were an improvement of earlier sound effects devices known as the echo units. The echo units replaced the unreliable tape recorders and echo chambers of the time. Guitarist could now tailor their own sound effects on the stop with the echo device. Raymond Lubow designed the first echo unit for guitars. The echo device was a simple setup comprising of a metallic drum filled with electrostatic fluid. Inside the drum is a rotating disc that produces the varying sound effects. With the success of this first echo device, Raymond Lubow designed an advanced version that came to be known as the Adineko pedal. The Adineko pedal became popular in the music scene. Fender approached the Raymond Lubow to design a custom Adineko pedal for them. Simultaneously, Raymond Lubow was working on another device that mimicked the Leslie rotating speaker. The Lubow brother joked that theirs was not a Leslie (Less Lee) but a better version known as More Lee. 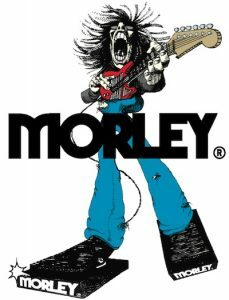 This was the birth of the name Morley. Morley pedals were easy to recognize. They had a bigger housing made of chrome-plate and rubber. This oversized look never bothered sound engineers at all. They still loved the crisp sounds and rugged look of the Morley Pedals from the 60s. The large housing design became a signature look for the succeeding Morley sound effect products. It was even used in the pedal version of the echo unit which was named the EVO-1. The Lubow brothers designed other products besides the echo unit and the Morley Pedal. On their list of inventions were devices like Phasers, distortion units and Flangers. 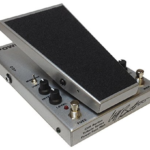 The Lubow brothers also manufactured the Pik-A-Wah pedal, Echo Chorus Vibrato, and the Chorus Flangers or CFL. Morley pedals sold in volumes in the 70s. However, enter the 80s, newer guitar pedals emerged from rival companies. 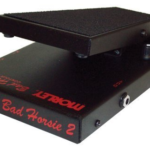 These pedals gave a crisp sound with the added advantage of being less bulky. To level the competition, the Lubow brothers redesigned the Morley pedal. The treadle and housing shrunk in size while the chassis was painted black. These new Morley pedals were both battery powered and AC powered. Their advantage was that they still had the electro-optical circuitry setup which made them more versatile in performance. Today the Morley pedals are more refined in designed, but the signature electro-optical circuitry is maintained. Raymond and Marvin Lubow pioneered the history of the Morley Guitar Effect Company. Their ingenuity is still appreciated today in the advanced Morley pedals and other sound effects products by the same company. Looking for more suggestions? 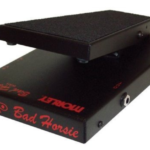 Look here for the best wah pedal recommendations.